A new wine cork that screws into the bottle is being unveiled. But why is there still so much snobbery in the battle between traditional cork and screw-top? A scientist might talk about the explosive pop of a wine cork in terms of pressure or elasticity. But for wine lovers, the distinctive creak and pop means something good is happening. It triggers associations – social intimacy, relaxation, nuanced aromas, celebration – that go far beyond just a slug of alcohol. The unveiling this week of a new style of cork raises the question of why the traditional kind continues to dominate much of the wine world. The Helix is opened with just a twist of the hand. 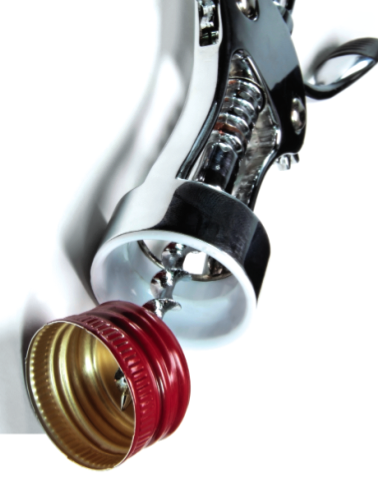 No corkscrew is necessary as the top of the bottle has a thread inside. 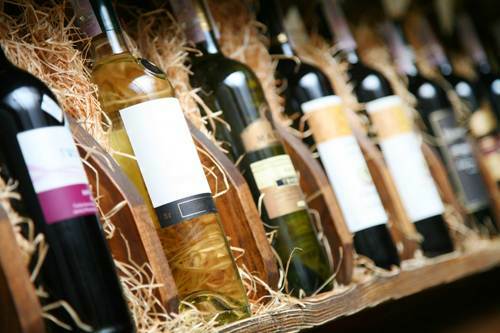 The glass bottle and cork combination for wine is thought to have started in the 17th Century. But newer materials exist today that some argue are better suited for sealing a bottle than cork. Screw caps and plastic corks have been embraced by producers fed up with wine becoming “corked” – the unpleasant musty taste, likened to wet dog, which is caused by tainted cork. At first glance, wine produced from grapes or other fruit would by definition be vegan. 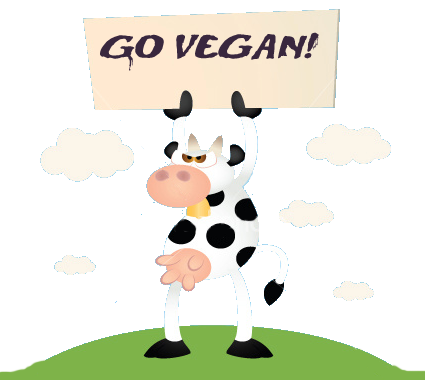 Vegan refers to a strict vegetarian who consumes no animal food or dairy products. But the recent launch of the Vegan Vine Wine Club called that into question. As it turns out, many wines are not strictly vegan because animal-derived products are used for fining or filtering. Common filter/fining materials including isinglass (fish derived), gelatin, egg whites or milk protein caseins—even if only trace amounts remain in the finished beverage—are “not appropriate for the vegan lifestyle,” according to Gary Smith, principal of Evolotus PR, a Los Angeles, Calif.-based agency that works with many animal-protection organizations and nonprofit groups. “Even a lot of long-time vegans don’t know this,” said Smith, a practicing vegan for many years. Clos LaChance, the Murphy family’s 60,000-case winery in San Martin, Calif., decided to make it easier for vegan imbibers. After a discussion with a vegan cousin during a family vacation two years ago, Clos LaChance created The Vegan Vine and began to market Sauvignon Blanc, Chardonnay, Cabernet Sauvignon and red blends under the label. With enthusiastic distributors, and the energetic promotion efforts of partner and ambassador John Salley, a former NBA champion, Vegan Vine has already sold through some 5,000 cases. 3 Glasses a week improves your memory. Champagne usually marks a memorable occasion for most of us – but scientists are now claiming three glasses a week can help to ensure it’s a memory that lasts. Researchers say that a healthy dose of bubbly can help against brain disorders such as Alzheimer’s Disease and dementia. Jeremy Spencer, a biochemistry professor at Reading University, said anyone over 40 would be wise to drink two or three glasses a week. ‘Dementia probably starts in the 40s and goes on to the 80s,’ he said. His team say the source is a compound called phenolic acid, found in the black grapes, Pinot noir and Pinot meunier, both of which are used for champagne. How is Red Wine Made? See how red wine is made with an easy-to-understand infographic. How is red wine made? Harvest grapes, smash them up and watch as yeast transforms the grape’s sugar into alcohol! 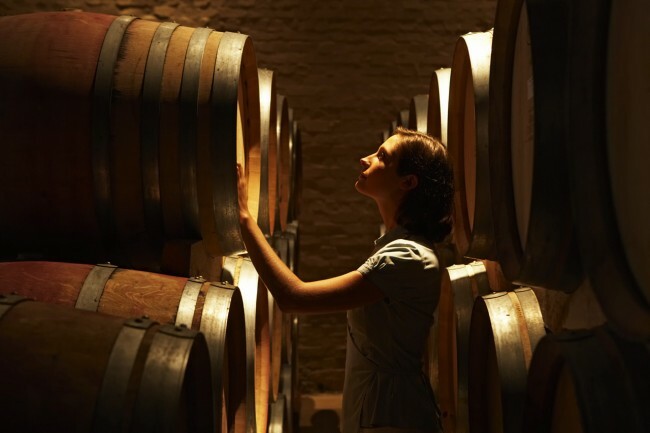 The basic concept behind winemaking is very simple, but the process can vary greatly depending on who makes the wine and what techniques they prefer to use. He plans to make his first batch of bicarbonate of soda this year. 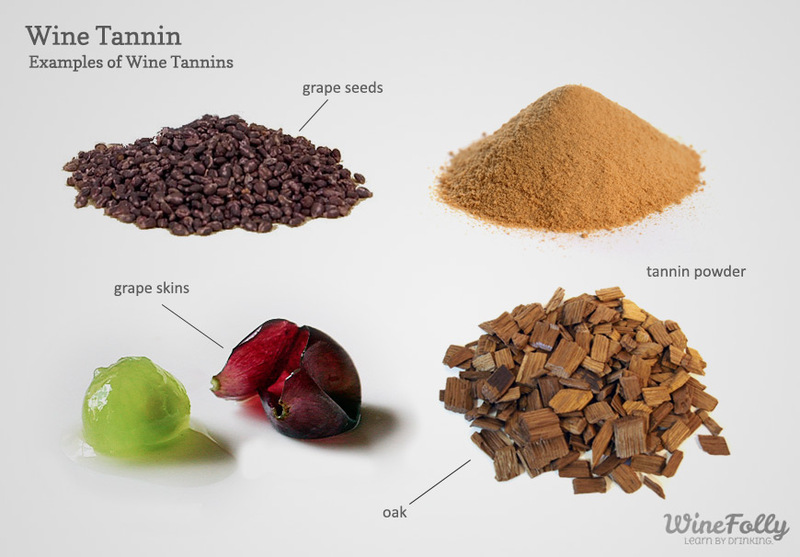 The various sources of tannin in wine. 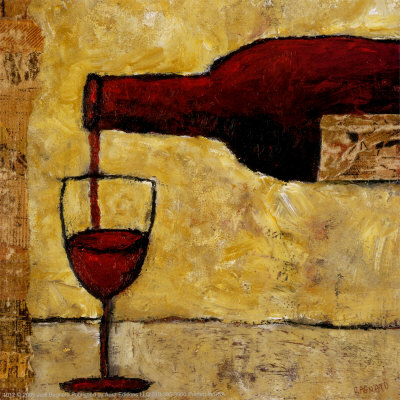 In wine, tannin is a textural element that makes wine taste dry. Tannin is a naturally occurring polyphenol found in plants, seeds, bark, wood, leaves and fruit skins. About 50% of the dry weight of plant leaves are tannins. As a characteristic of wine, tannin adds both bitterness and astringency as well as complexity. Wine tannins are most commonly found in red wine, although white wines have tannin from being aged in wooden barrels. What Does Tannin Taste Like? Tannin tastes dry and astringent and you can feel it specifically on the middle of your tongue and the front part of your mouth. Unsweetened black tea is a great example of nearly pure tannin dissolved in water. Some are excellent, others undrinkable. Testimony began this week in billionaire William Koch’s lawsuit against Eric Greenberg, who Koch claims sold him some very expensive counterfeit wine. (Mike Steinberger wrote a detailed investigation of the case for Slate in 2010.) Some of the bottles went for nearly $30,000, which has Koch so miffed that he refuses to settle the case. 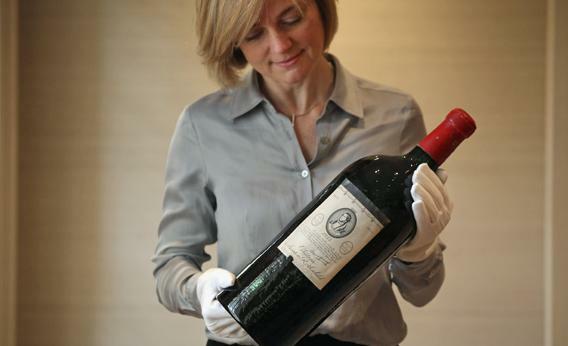 If you spend $30,000 on a bottle of wine, can you expect it to be better than a $20,000 bottle or a $10,000 bottle? Not really. Full disclosure: The Explainer has never tasted, and has no discernible prospects of ever tasting, a $10,000 bottle of wine. The wine experts he consulted, however, emphasized that the difference between wines in this price range is not quality, but rather prestige, rarity, and age. Upon opening, some four- or five-figure bottles of wine “justify” their price—at least to experienced wine critics and people who can conceive of paying $30,000 for 1.5 liters of fermented grape juice. (A 1947 Cheval Blanc, for example, blew away Slate’s wine critic.) Other bottles have slid far beyond their peak, losing their volatile fruit flavors to age and, frequently, improper storage. Occasionally, giddy wine lovers uncork an ultra-expensive wine only to find that it has turned to vinegar. As wine enthusiasts say, there are no great wines, only great bottles. However, just like a high-roller going all in at the poker table, some wealthy wine lovers perceive value in unpredictability.